proMX was in Hannover from the 10th to the 14th of March at the worldwide fair for information technology CeBIT 2014, and achieved brilliant success for the second year in a row. One of the focuses of this exhibition was dedicated to all activities applied to the personal controlling – the Human-Resource-Management. In the Dynamics CRM lounge proMX presented the successful distribution management, resource management and project management solution proRM, and scored high with the new resource planning application, as a component on the resource management arrangement. This application is primarily developed to administer the available resources efficiently and to consider the needs of the management level concerning planning and overviews. It gives fast an overview of the workload of the employees and offers the possibility to catch at the same time different action options. proRM Resource Planning allows managers to get insight into the extent of the utilization of project employees individually and promotes the user’s acceptance by user-focused interaction. Different view and filter possibilities enable to the users to get an overview of history or growth, to value them from the first sight, and to consider only at what is required. The excellent efficiency of proRM Resource Planning makes project control easier and helps to make the management process more effective. The other applications, Resource Management, proRM Resource Gantt, proRM Resource Assignment and proRM Workload also woke up a huge and desire for sensation. The arrangement for the resource management, as well as the complete solution proRM offers, satisfied a thirst for knowledge felt by numerous fair visitors. proRM Resource Gantt enables managers to see through a necessary time period, to elect one or several employees or even a team for the analysis, and to have a whole overview of the actual human capacities. This gives a quick and uncomplicated clarity of the extent of the employees and other assets within the company. The proRM Resource Assignment allows managers to be persuaded that all abilities of the employees are exhausted at most. Then customers get the highest levels of available services. 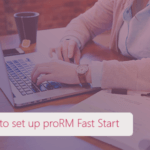 proRM Workload gives managers a great opportunity to observe the availability of their workers and their actual workflow in a suitable structure with user-friendly interface. The interaction of the applications from proMX, and their user friendly tools are likely to make them highly competitive and the standard for the Human Resource Management. CeBIT 2014 was for proMX very successful. We thank all our friends and partners, which helped us to introduce our product distribution management, resource management, and project management solution proRM. Quality and the striving for perfection knows no limits! proMX utilizes the very helpful feedbacks of actual users and continues the modernization and optimization of the applications effectively. 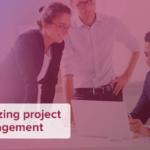 Experience the Successful Project Management - Live! In the weeks ahead, proMX will continue its highly successful Roadshow Tour. The software specialist will be unveiling the brand new release of its proRM solution at CeBIT. Whether small-, large- or middle class companies, whether independent contractors or employees, everybody is warmly invited to take part in the presentation of the new edition of the distribution management, resources management and project management - solution proRM.